Why wait for black Friday? Kate Spade has released a huge discounted Black Friday 2016 deals on all their sale items now! Head online at Kate Spade surprise sale and you can save up to 75% off on all your favourites such as handbags, wallets, jewellery, clothing and more! This Kate Spade Black Friday sale is live online now until Saturday, November 26, 2016, at 11:59 PM PT! While supplies last. All sales are final, no returns, refunds, credits or exchanges. FREE ground shipping to Canada when you spend $175 or more. Valid through November 26, 2016 until 11:59 PM PT! If you’re a fan of Kate Spade Canada, or just looking for some stylish new bags and accessories, you will like these Kate Spade Black Friday deals. 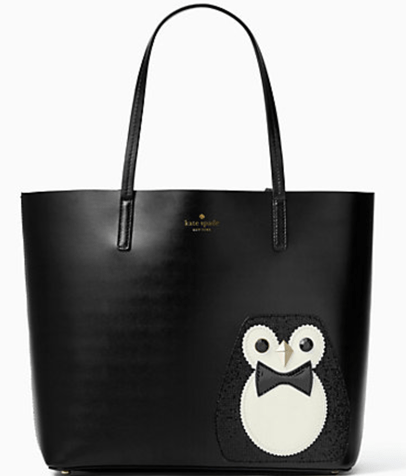 Click here to shop online at Kate Spade.